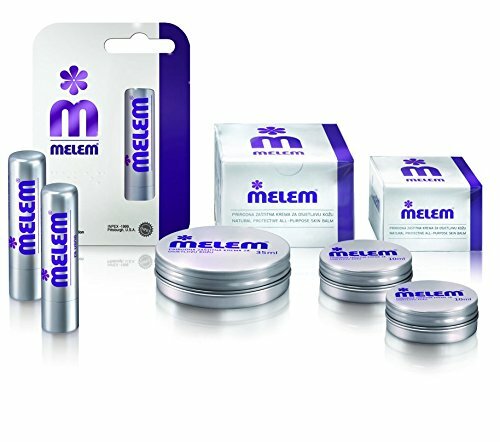 Melem comes in two sizes of tins and a stick form. The large size tin contains 1.2 fluid ounces (35 ml) and the small (mini) size is .34 fluid ounces (10 ml). The stick form is.16 ounces (4. 5 g) .All three can be ordered from us.